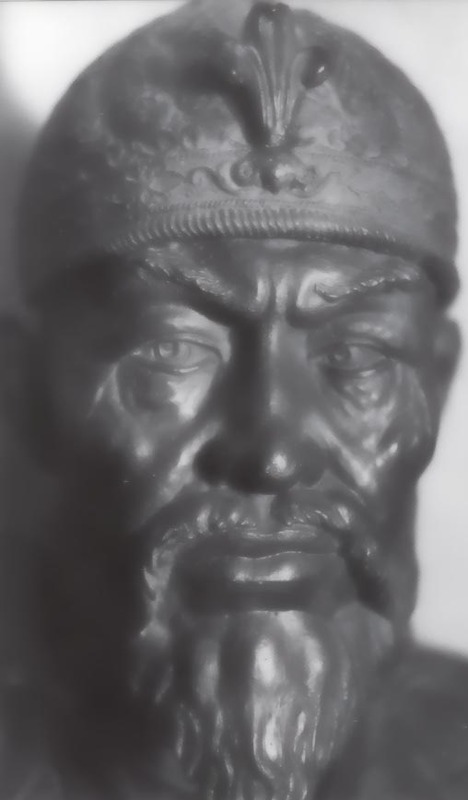 The armies of Timur-i-Lenk! Each figure is 25 ~ 28mm in scale (foot to eye), and is compatible with all major manufacturers. Each pack is composed of four (4) foot, three (3) mounted figures, or one (1) elephant with crew. Each T1-T4 FOOT pack (4 figures) is $7.50 US, each TC1-TC3 MOUNTED pack (3 riders and mounts) is $13.00 US, each TC4-TC5 MOUNTED pack (3 riders and mounts) is $11.50 US, and each TE1 ELEPHANT pack (1 elephant with 3 crew) is $21.50 US. Each pack is supplied unpainted, but comes with weapons and shields integral. Each pack includes several different poses and variations (number noted). The images on the link above may take a few minutes to load depending on connectivity. 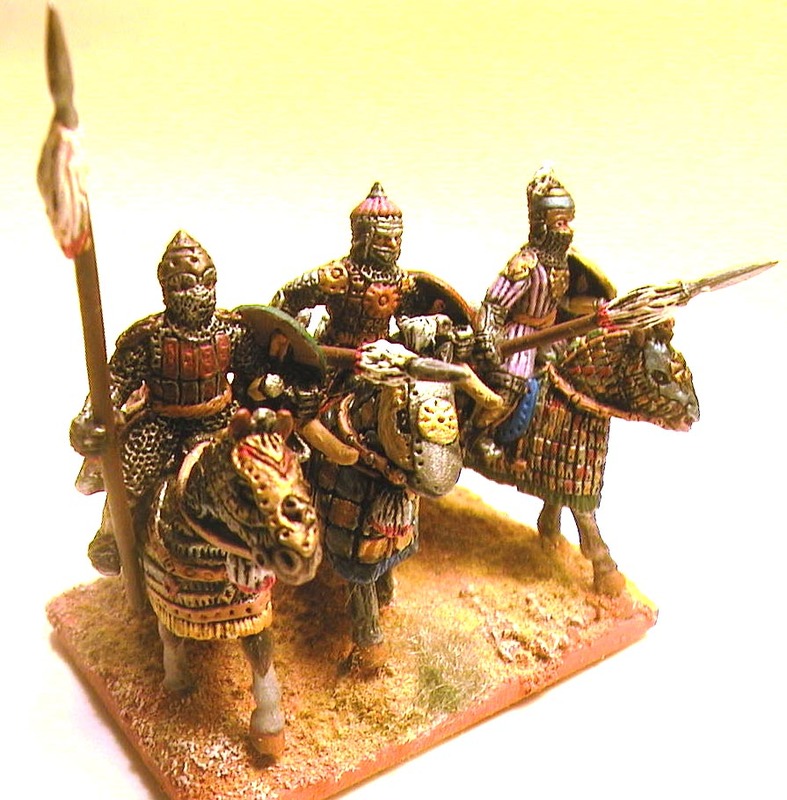 The PHOTOS link on the Molniya Miniatures Home Page has colour pictures of one of our Timurid & Qin armies. The figures pictured on this page are works-in-progress, and should be finished soon! 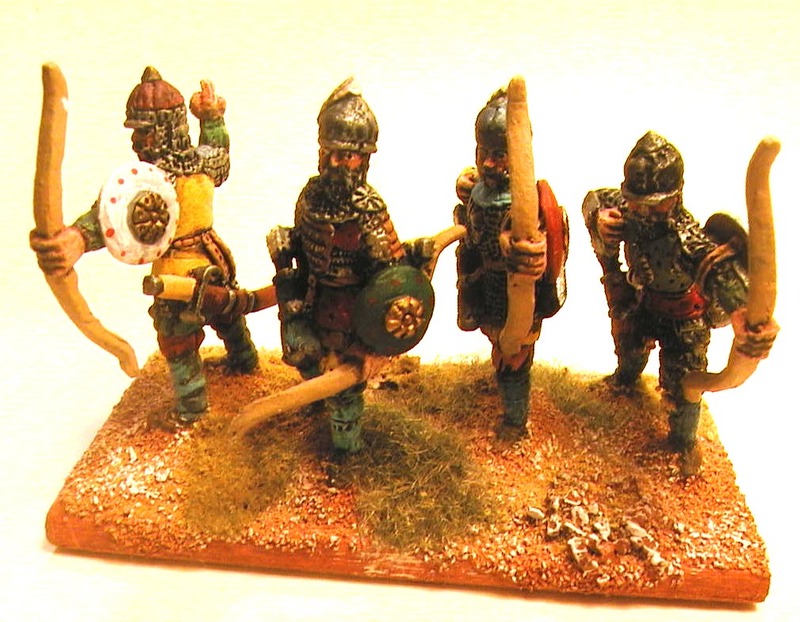 T1 TIMURID SOLDIERS W/ BOWS & HAND WEAPONS (x4) AVAILABLE! T2 MOUNTAIN SKIRMISHERS (Spear & Bow)(x4) AVAILABLE! T3 DRIVEN HOSTAGES (x4) AVAILABLE! TC1 MOUNTED HIGH COMMAND (Hornblower, Parasol Bearer, & Commander) (x3) AVAILABLE! TC2 MOUNTED COMMAND (Drummer, Standard Bearer, & Tarkhan Hero) (x3) AVAILABLE! TC3 HEAVY CAVALRY (Barded Horses, Lance armed) (x3) AVAILABLE! TC4 HEAVY CAVALRY (Unbarded Horses, Bows & Hand Weapons) (x3) AVAILABLE! TC5 LIGHT CAVALRY (x3) AVAILABLE! TC6 GEORGIAN / ARMENIAN HEAVY CAVALRY (x3) AVAILABLE! 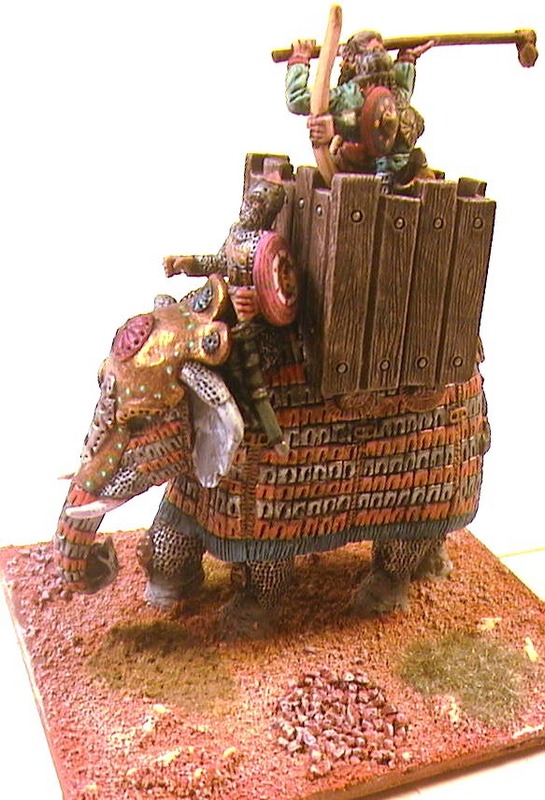 E1 ELEPHANT W/ CREW (x1) AVAILABLE!